Desperation drove Richard Copeland into business. Newly married with a baby on the way, Copeland found himself unemployed — booted from his father's trucking business after an argument. It was 1980. He was 25 years old. "I didn't know what I was going to do," Copeland recalled. "All I had was a pickup truck, a shovel and a hammer. I would just drive around all day, hoping to find yard work." His north Minneapolis neighbors dubbed him "Sanford and Son," a barbed reference to the 1970s TV comedy about an irascible junkyard owner and his hapless son, who also drove an old pickup. Copeland, however, refused to follow that script. Instead, he built his one-man, one-shovel operation into a landscaping company, then a construction firm, and now Thor Companies, a Fridley-based holding company with 200 employees, $375 million in revenue and projects all over the country, making it one of the nation's largest black-owned businesses. Thirty-seven years later, Thor is headed back to north Minneapolis, blocks from where Copeland grew up, with a plan to bring investment and jobs into a corner of the Twin Cities that desperately needs both. A $35.9 million headquarters building that counts Target Corp. as an investor is under construction in north Minneapolis. Copeland plans to leverage the success of his business to spur an economic renaissance in a community crushed by the Great Recession and still struggling to recover nearly a decade later. "We see North Minneapolis as an asset, not a liability," he said. Copeland's also on a mission to wake up Minnesota to the struggles and potential of minority-owned entrepreneurs. His company has done far better winning contracts outside the state than inside, a reality he says is driven by racial discrimination. "Thor's experience isn't unique," said Minnesota Human Rights Commissioner Kevin Lindsey. "I think it is the case that discrimination, unfortunately, still exist in the state of Minnesota. And it exists as it relates to employment and it also exists as it relates to state contracting or contracting opportunities between individuals." 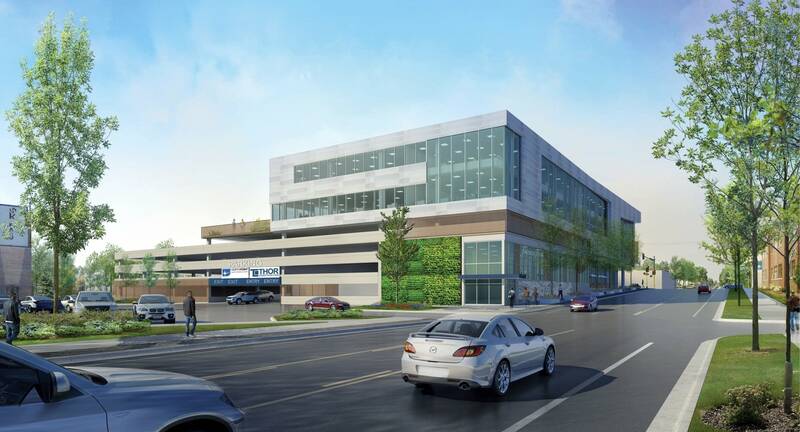 The new headquarters is a vital part of Hennepin County's multimillion-dollar plans to redevelop the area around Penn and Plymouth avenues and bring employment opportunities. Target is the master lease holder and was instrumental in the deal. Copeland and others, though, see it as more than just a new building. They believe it will show the local building industry that it's good business to be in north Minneapolis and to hire minority workers. "As African-Americans, I think we have a distinct responsibility," said Ravi Norman, Thor's chief executive officer. "It may only be a $35 million building. But it's an investment with intentionality in a very specific part of the neighborhood." 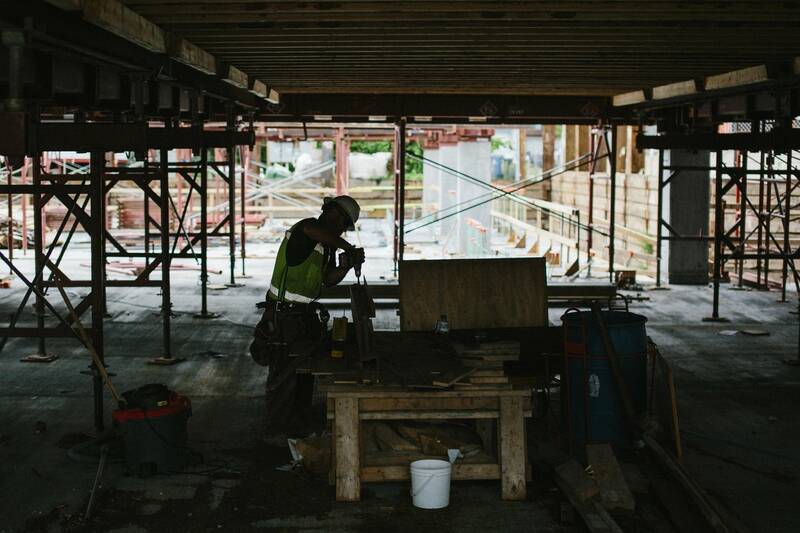 The local construction industry, he added, "is recognizing that the chasms that exist between whites and communities of color is something that's not going to be a sustainable model for Minnesota" and its rapidly growing racial and ethnic diversity, Norman said. The number of minority businesses is growing at a much greater pace than white-owned firms in Minnesota, and the state's aging workforce and tight labor market mean the state's prosperity will increasingly depend on workers of color and the skills they have, said Gary Cunningham, president of the Metropolitan Economic Development Association, an organization that aids minority entrepreneurs. "That shift means we're going to have to figure out how to ensure that people of color are thriving because they are the future consumers of products that being sold and they are the future workforce," Cunningham said. The state agrees and has been moving in recent years to aid minority businesses. 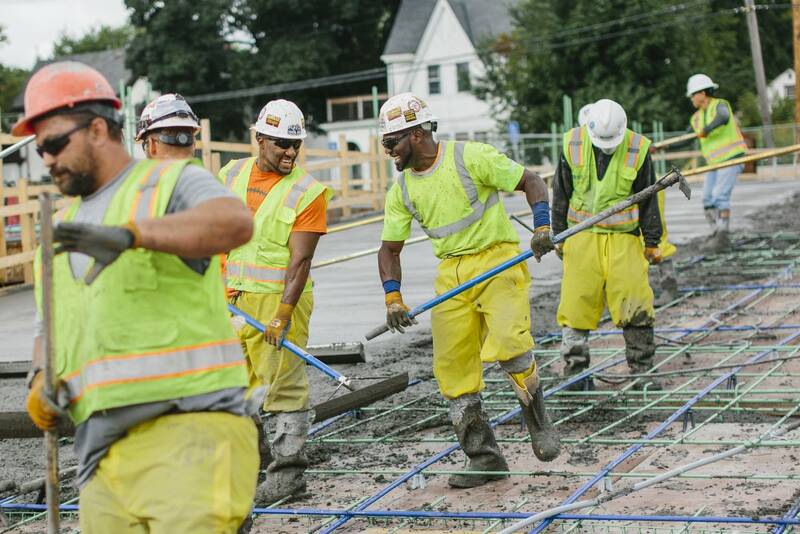 Minnesota officials recently created a set-aside for diverse businesses of any size — a break that Thor, a big company, had long sought — and it boosted workforce goals for minority and women in state construction. Government contracts were the catalyst of Thor's growth. "When we were small and there were inclusions efforts made to have minority-owned businesses do state work, we participated in that work and bid on that work," Copeland said. "It helped us a lot." 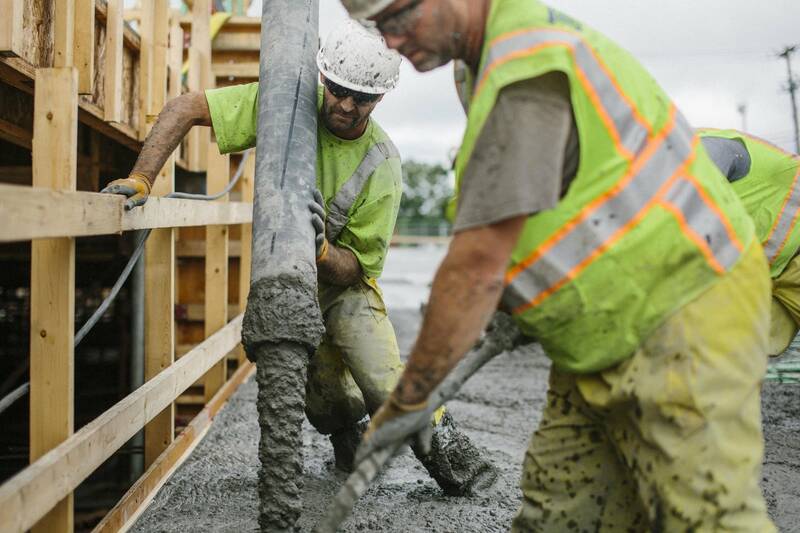 Copeland, though, said the company became stuck — too big to work within the state's inclusion programs but not big enough to outmuscle Minnesota's construction giants for business. Thor has worked on some big projects in Minnesota, including U.S. Bank Stadium and TCF Stadium, thanks to a longstanding partnership with Mortenson Construction. While high-profile, Thor's Minnesota's work account for a sliver of its volume, more than 85 percent of which is from out of state. Copeland said race plays a role in how his company is viewed by Minnesota's construction industry and that his vocal advocacy for inclusion, which included calling out agencies and companies, contributed to Thor's dearth of contracts. Elsewhere, the company has prospered. That includes work in California and Nevada working with companies like Disney and MGM Grand, and being the only black-owned firm to build a building from the ground up on the Las Vegas Strip, Copeland said. Norman and Copeland believe discrimination can't be excluded from the reasons Thor's been challenged in its hometown Twin Cities. Race was a factor from the beginning, said Copeland, who was reminded of that early on when a white competitor scrawled "Thor" on Copeland's pickup truck. The hammer-wielding god from Norse Mythology was fitting for a construction. Copeland kept it. "I always say people like to do business with people they are comfortable with. So when the population over the years has been predominantly white, there's also going to be relationships on a localized level that are going to be white to white," said Norman. "That has its own connotation of all the things that go into race and class and everything else," he added. "So as you're trying to find your way in that space with just those competitive dynamics and demographics, it's going to be tough to win some market share." 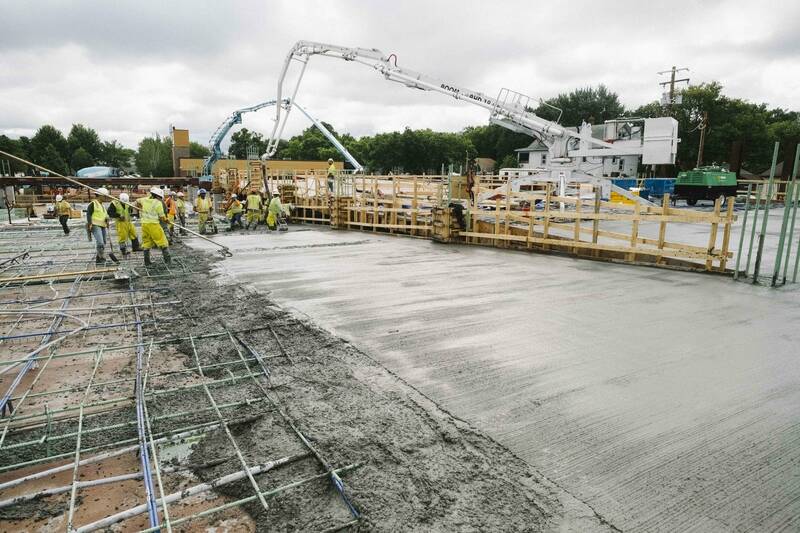 As its north Minneapolis building rises, Thor is poised to have its best year with projects around the country and increasing amount in Minnesota. Copeland and Norman are working now to build Thor's community involvement and visibility. Norman, for instance, sits on 11 corporate and organizational boards, including the influential Itasca Project. Thor also, in recent months, expanded from general construction to a holding company, offering development, architectural design and consulting services. The expansion makes Thor a one-stop shop and increases its chances for contracts and employing more people of color, Norman said. Engaging Thor could help bridge the income gap in the state, said James Burroughs, who was hired last year as Minnesota's first chief inclusion officer with a mission to improve the diversity of Minnesota's workforce. 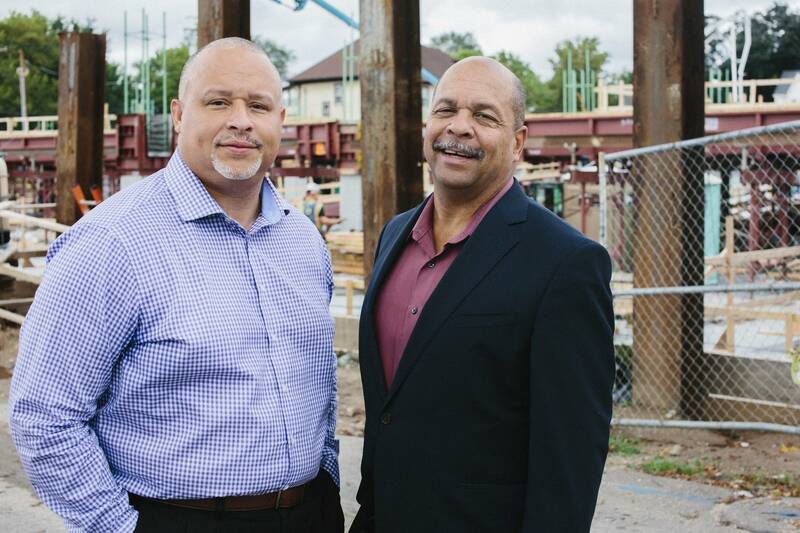 "They tend to employ more people of color on their projects, therefore we're creating an economic impact that's doubled up because we've got a minority-owned business that's getting money and resource and they're employing people in the community," he said. Norman said the building isn't just a building. It's envisioned as a hub for economic and community development. Confirmed tenants include Build Wealth Minnesota as well as Cunningham's Metropolitan Economic Development Association, nonprofits that work to grow ventures of entrepreneurs of color, improve personal finance management and homeowners. MEDA serves 700 businesses a year. Cunningham said the move from downtown Minneapolis to a bigger space in north Minneapolis coincides with a major programming upgrades and will allow 3,000 clients a year. Copeland searched for 10 years for his new headquarters. He and Cunningham are childhood friends and remember the corner bustling with businesses that vanished after the riots 50 years ago. It's been without economic activity for many years. In a way, the community and the company are facing similar battles. They've been undervalued and excluded, Copeland said, but not anymore.